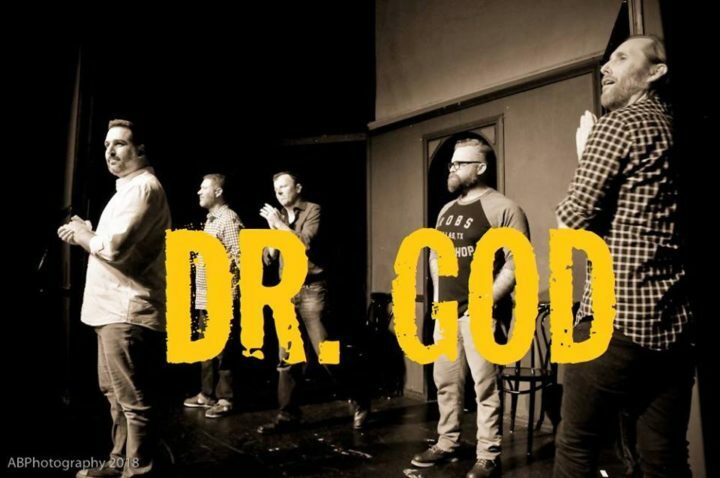 Dr. God is a Los Angeles based comedy group that develops content for film and television, in addition to performing live all across the country. They recently finished their first feature film, BLOODSUCKING BASTARDS which is available on Showtime On Demand. Dr. God performs their unique brand of improvisational comedy called The Revival with celebrity guests who deliver monologues as inspiration for the improv on the 4th Saturday of every month at 9pm at The Pack Theater. They love you very much.